A well loved classic soup recipe. 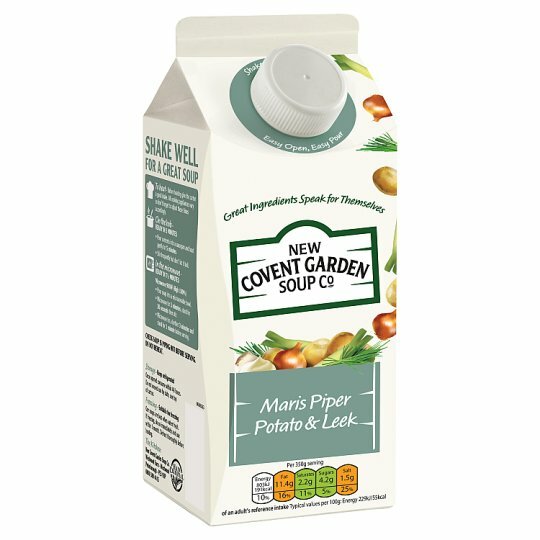 The finest, fluffy potatoes combined with softened leeks, onion and milk then seasoned with white pepper, finished with a dash of chives and a splash of cream to create a simple but great tasting soup. Keep refrigerated, Once opened consume within 48 hours., Do not exceed use by date, see top of carton., Suitable for freezing, Our soups are best when eaten fresh., If freezing, do so immediately and use within 1 month. Defrost thoroughly before heating. Microwave (From Chilled): Ready in 7 1/2 minutes.